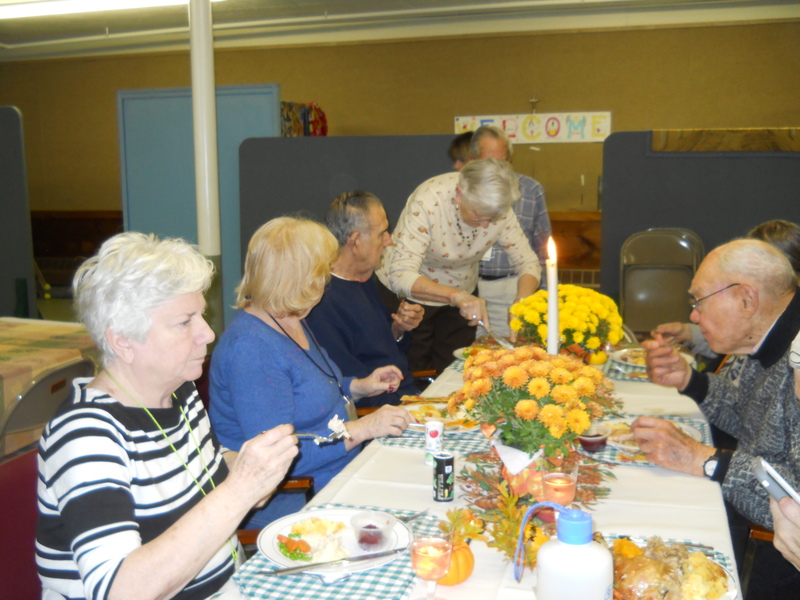 Day Away volunteers prepared and served a Fall Harvest Dinner for the program’s participants recently. The dinner consisted of fresh cooked turkey, vegetables and gravy. Volunteers brought homemade pies which were served as the dessert. Earlier in the day, the participants painted pumpkins as their craft. The Day Away Program is privileged to have such a great group of talented volunteers. We are open Thursday from 9:00 a.m. – 3:00 p.m. in Simard Hall at Our Lady of Grace Chapel in Bristol, NH serving families in the Lakes Region who are caring for loved ones with all types of early onset dementia. Volunteers serve in many capacities: being a one on one companion, helping with exercise, arts and crafts, meals, special events, fundraising, steering committee members, leading music, bringing their therapy dogs and much more. If you would like to join us as a volunteer sharing your talents and bringing joy to our participants and families contact Fran Olson at 603-744-6828 or feolson@gmail.com. There are currently openings available. Participants thoroughly enjoy their Day Away and it gives caregivers a much needed, and deserved, day of rest.